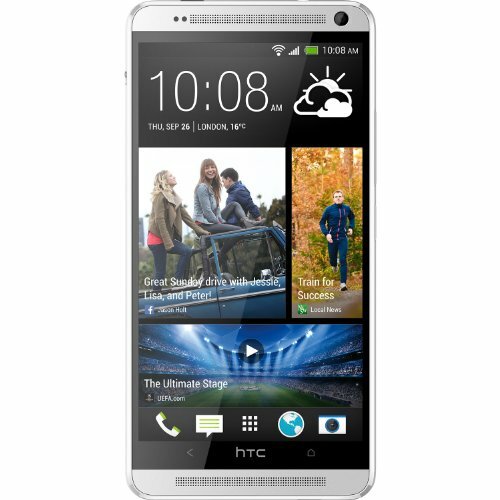 HTC One max is a high-end phone released many years ago, provisioned with a big size 5.9 inches screen, a good performance Quad-Core processing unit ticking at 1.7 gigahertz, a 4 MP back camera and a 2.1 MP front facing camera. HTC sells this cellphone with a Qualcomm Snapdragon 600 APQ8064T chip, backed up by a powerful 1.7 GHz Quad-Core processing unit and a great 2 GB RAM memory. Graphic intensive applications generally consume lots of processing power, so the HTC One max also uses an Adreno 320 graphics processing unit running at 400 megahertz to help the CPU with those tasks. This cellphone counts with a 32 GB excellent internal storage and an external memory card slot, which allows the user to install tons of apps, games, photos and videos without thinking about filling the cellphone. 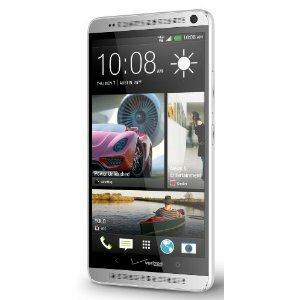 The HTC One max is a very compact cellphone, taking into account that it packs a 5.9 inches screen and it has just 6.48 inches long and 3.25" wide. The HTC One max is very thin and comfortable, but it's not as thin as many other cellphones nowadays, with a thickness of 0.41 inches. 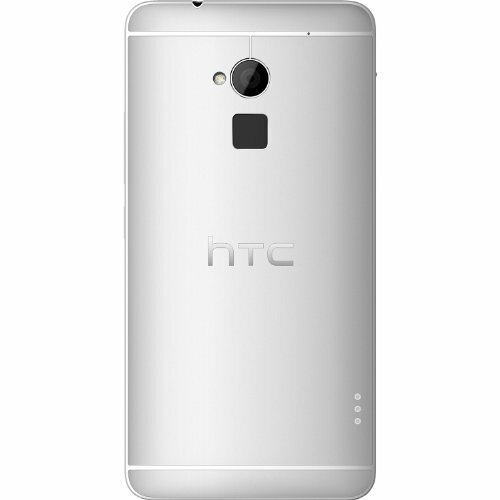 Regarding its body design materials, the HTC One max is majorly manufactured with Aluminium, which gives it a high quality feel and an extra resistance. This device feels a bit heavy for a phone this size, weighting 7.65 oz. This phone has two cameras, a 4 MP back side camera and a 2.1 MP front facing camera. this phone's back side camera has a maximum 2 aperture so it can capture clear pictures even in dark situations. It also shoots Full HD 1920x1080 videos at 30 fps, and slow-motion videos in (HD) (1280x720) up to 60 fps. This phone also features a few useful features like auto-focus, flash, digital image stabilization, HDR mode and geo tagging. HTC designed this phone with an amazing 5.9-inches display, and a 1920 x 1080 (Full HD) resolution, making everything look absolutely great. This display uses S-LCD 3 capacitive technology, and allows multi-touch gestures. This cellphone uses a big capacity 3300 mAh Li-Polymer non-removable battery that provides this phone an incredibly long battery duration. 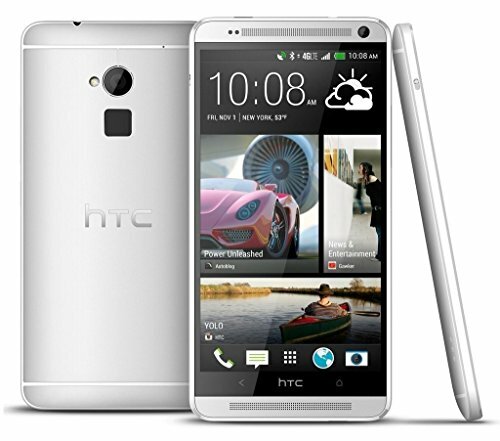 According to HTC, the HTC One max has an aproximate stand by time of 393 hs and a talk time of 28 hours. An issue to consider is that the HTC One max's battery isn't removable	so you can't throw it away and buy a new one when it begins to have trouble holding its charge, while with such a huge battery size you will probably replace this cellphone before that becomes an issue. The HTC One max includes Wi-Fi capability (and it can be shared with other devices around, as a mobile hotspot), 4G LTE high performance data connection and also HSPA+ internet connection, that is a slower 4G network or fast 3G data connection, using HSDPA, HSUPA, UMTS and EDGE technologies. This cellphone works with a Micro SIM card for GSM connection and it can work with both CDMA and GSM networks. This cellphone also includes many interesting features like Bluetooth (4.0), Fingerprint Scanner, GPS (Global Positioning System), Infrared Blaster and Near Field Communication (NFC), and multiple sensors like Light Sensor, Proximity Sensor, Accelerometer, Gyroscope and Compass. This phone is priced only $ 399, a good offer for comparing with other similar phones. This device is very appropiate no matter if you want a social phone, need a device for work, are looking for a device for gaming or want it to take many photographs.